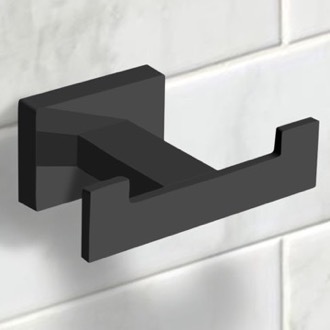 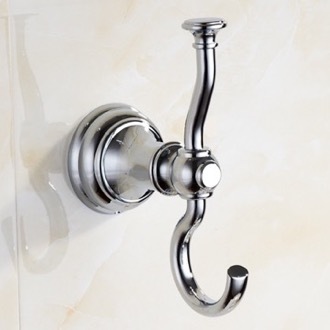 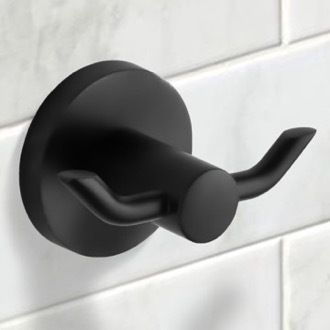 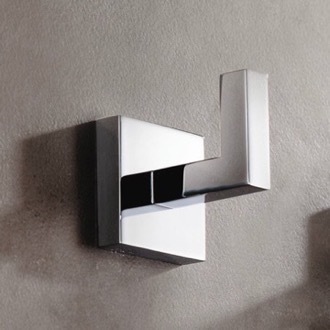 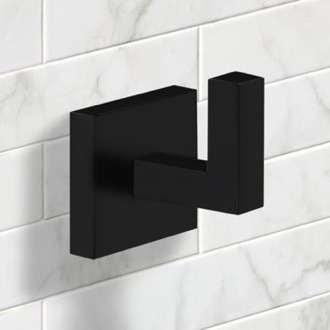 Shop our selection of bathroom hooks and get FREE shipping on all orders over $99! 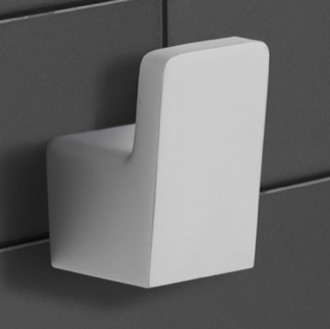 When you're short on space, a bathroom hook is the perfect solution to keep things off the floor. 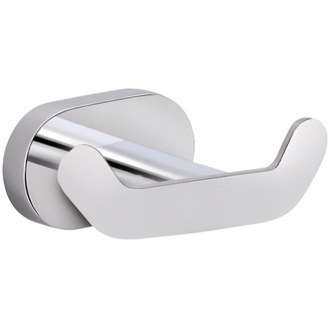 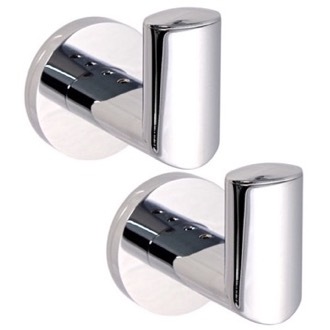 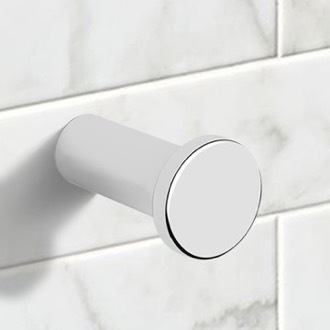 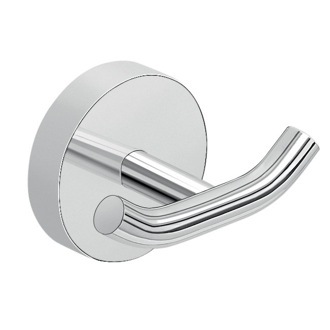 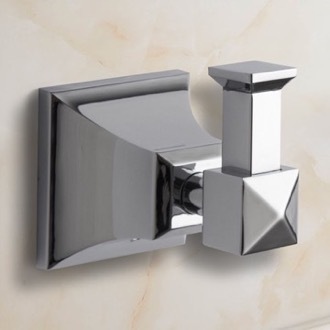 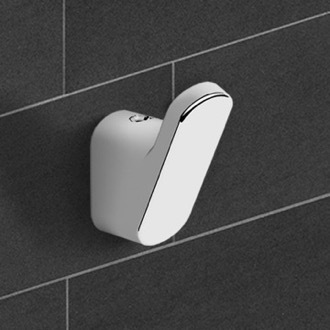 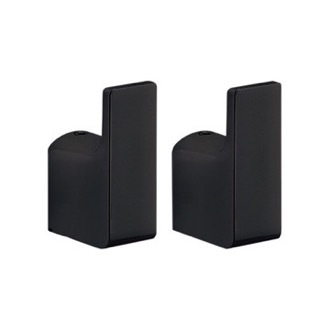 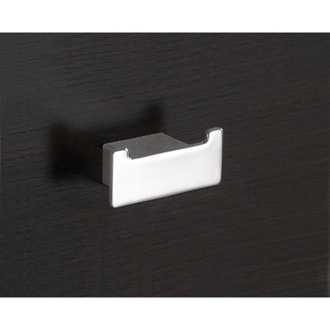 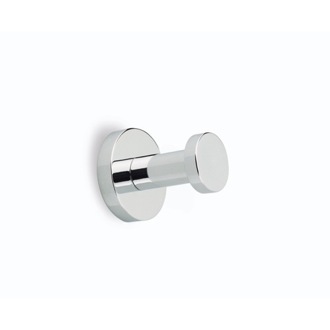 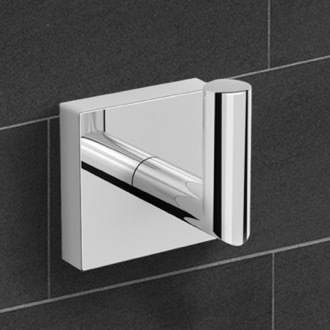 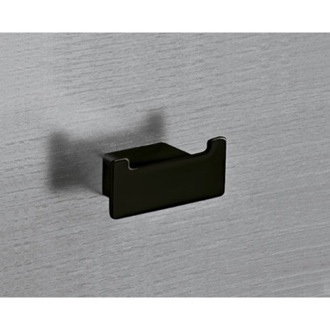 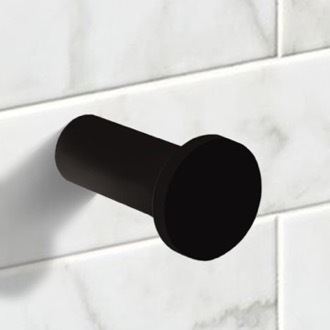 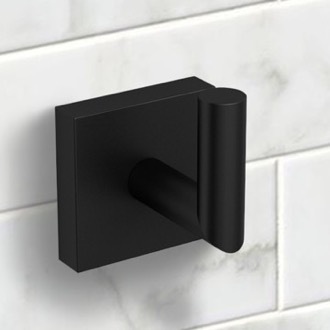 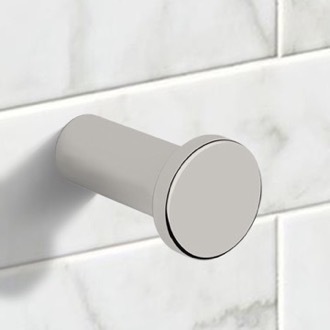 Towel hooks are easy to install on the back of your bathroom door or on the wall. 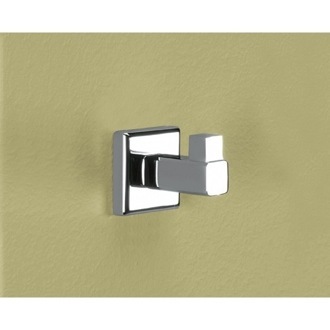 Coming in single and double hook styles, use bathroom hooks to hang your bathrobe, towels, or other accessories. 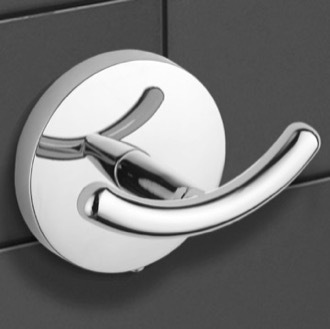 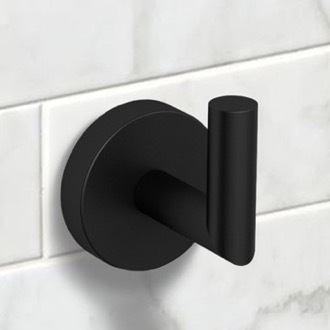 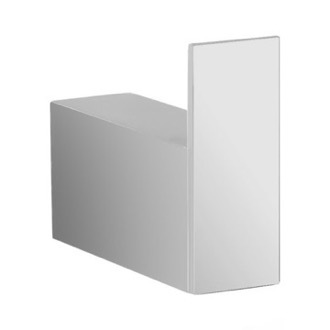 Robe hooks can be used alone, or in addition to towel racks and other bathroom shelving systems. 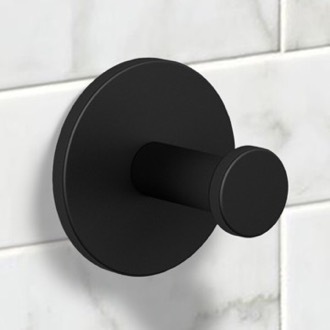 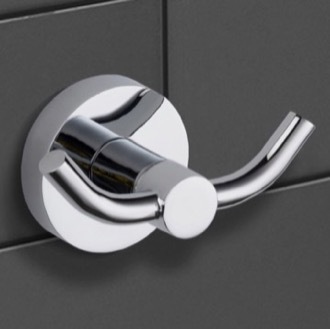 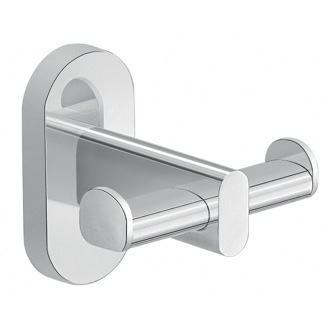 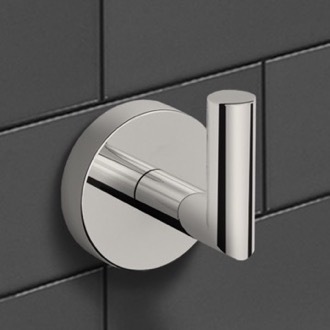 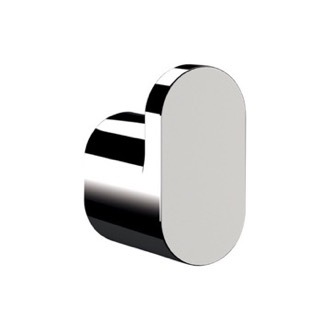 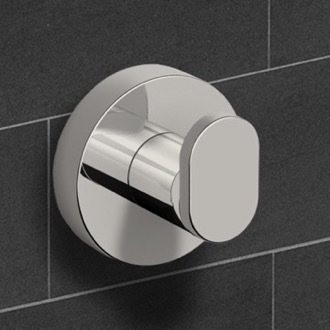 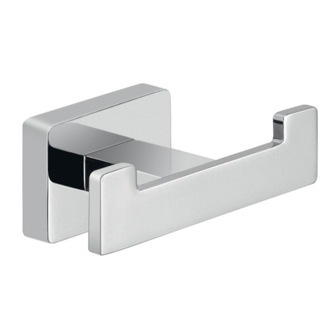 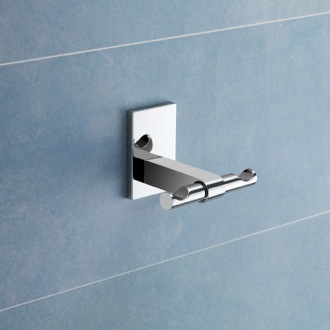 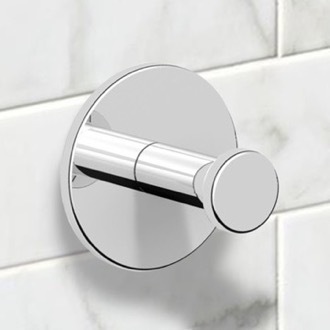 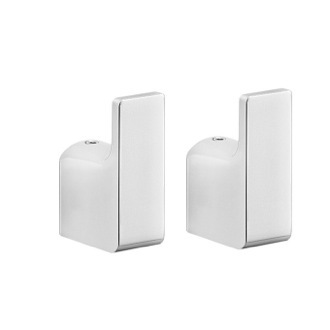 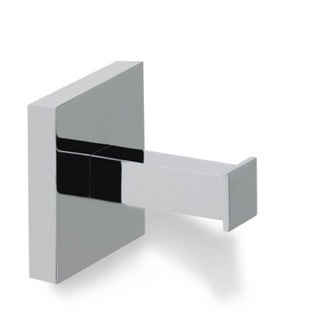 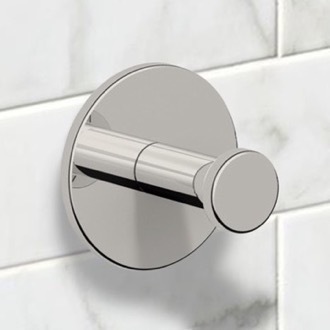 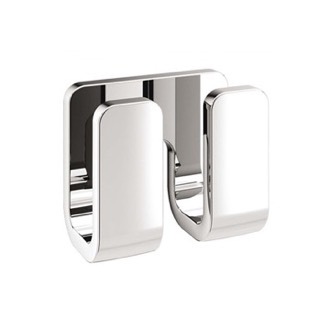 To keep your bathroom design cohesive, opt for towel hooks in a similar finish to the rest of your bathroom hardware. 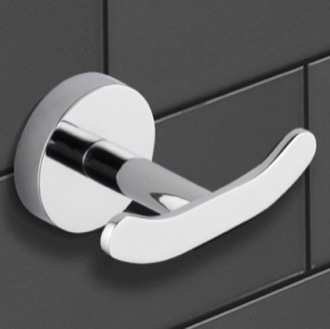 More shopping tips No matter the size of your bathroom, there's always room for more storage. 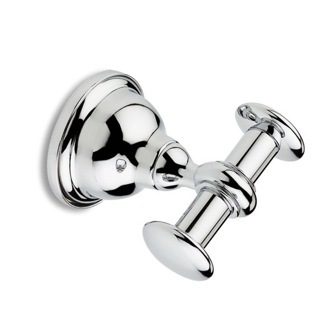 If you've maxed out your linen closet and cabinet space, it's time to add bathroom hooks. 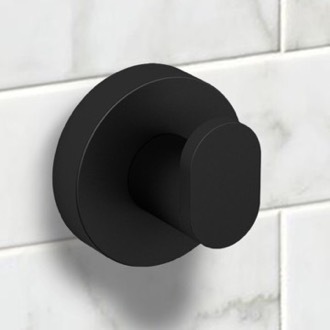 While they're mainly designed for towels, they can also hold robes and clothing or be strategically placed to keep heated hair style tools safely displayed and their cords away from open water. 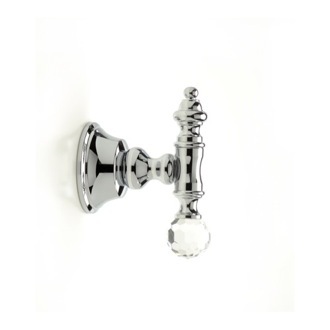 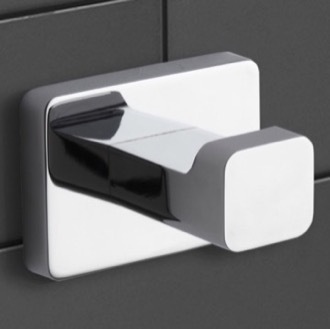 While it would be easy to sell a small selection of bathroom hooks, we know that each accessory you bring into your bathroom should match your taste and style. 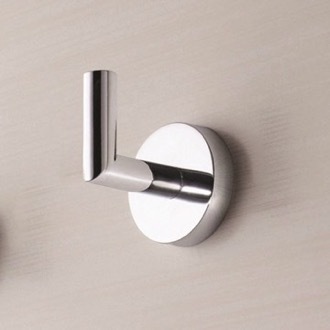 That's why we carry a wide range of bathroom hooks. 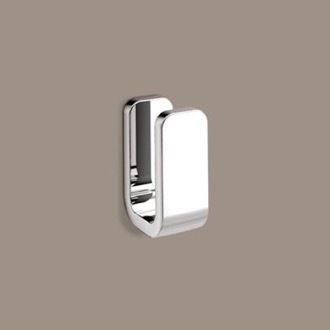 Choose your favorite finish, including polished chrome, satin nickel, matte black, and more, and then decide on a shape and style. 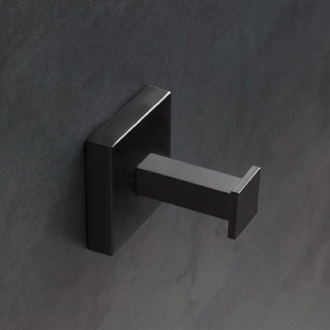 We have basic round hooks and modern square hooks. 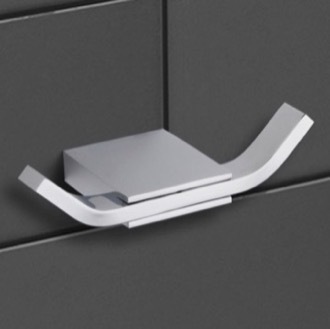 We even offer double hooks to give you the storage you need without adding an extra installation step.